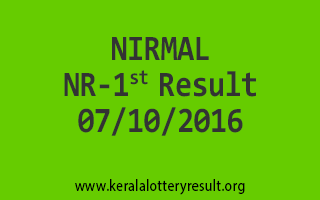 NIRMAL NR 1 Lottery Results 7-10-2016: Nirmal NR-1st Lottery Draw Result held on 07-10-2016. 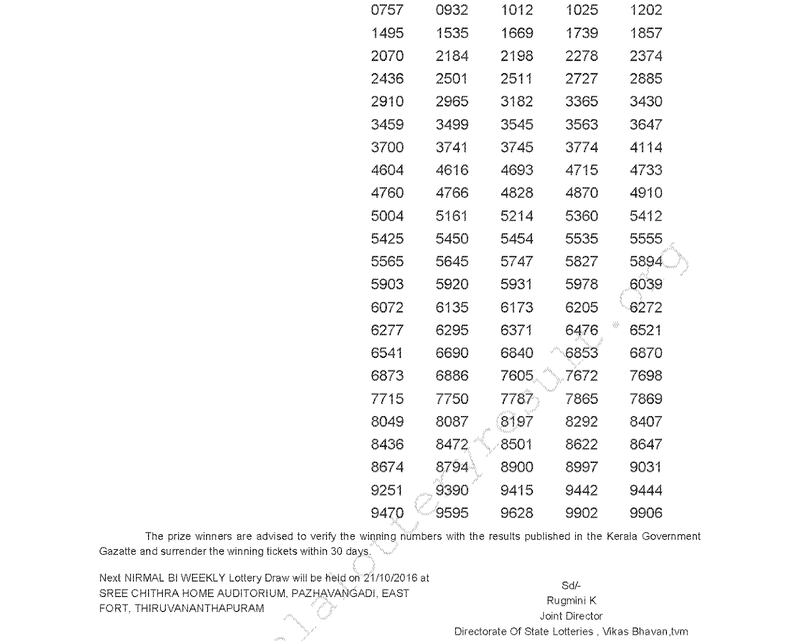 Today’s latest Kerala lottery result published. 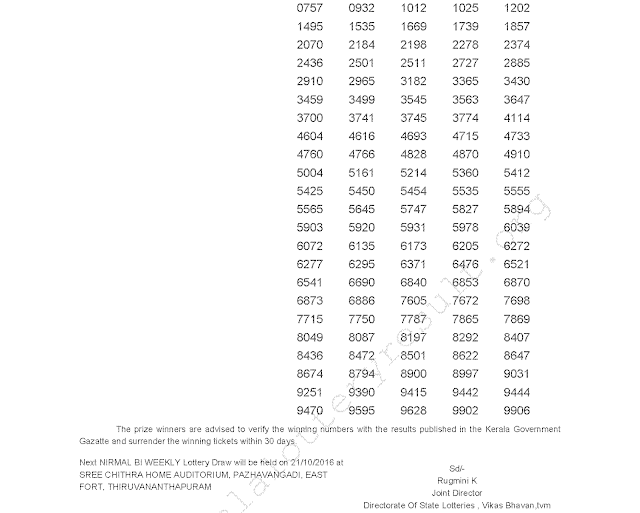 Kerala lottery result October 7, 2016. Those who are waiting for the Nirmal NR-1st Kerala lottery result can now check the online lottery result here. Next Nirmal NR 2 Lottery Draw will be held on 21/10/2016 at Sree Chithra Home Auditorium, Pazhavangadi, East Fort, Thiruvananthapuram. 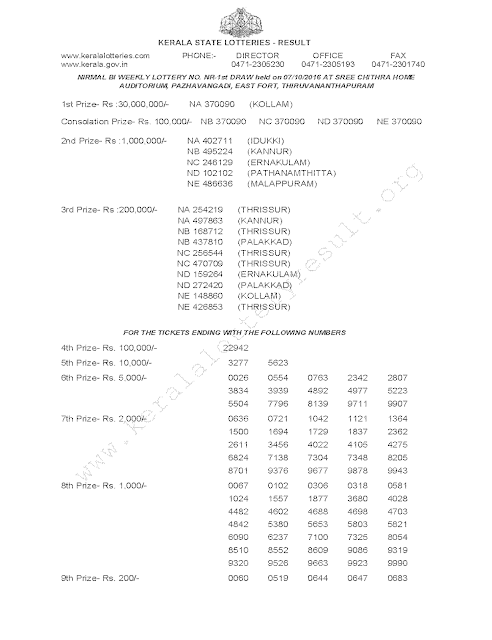 For Printing Official Nirmal Lottery NR 1 Result 07/10/2016 in PDF file: http://103.251.43.52/lottery/reports/draw/tmp52234.pdf. See Nirmal NR-1 Lottery Result 07-10-2016 in Images.